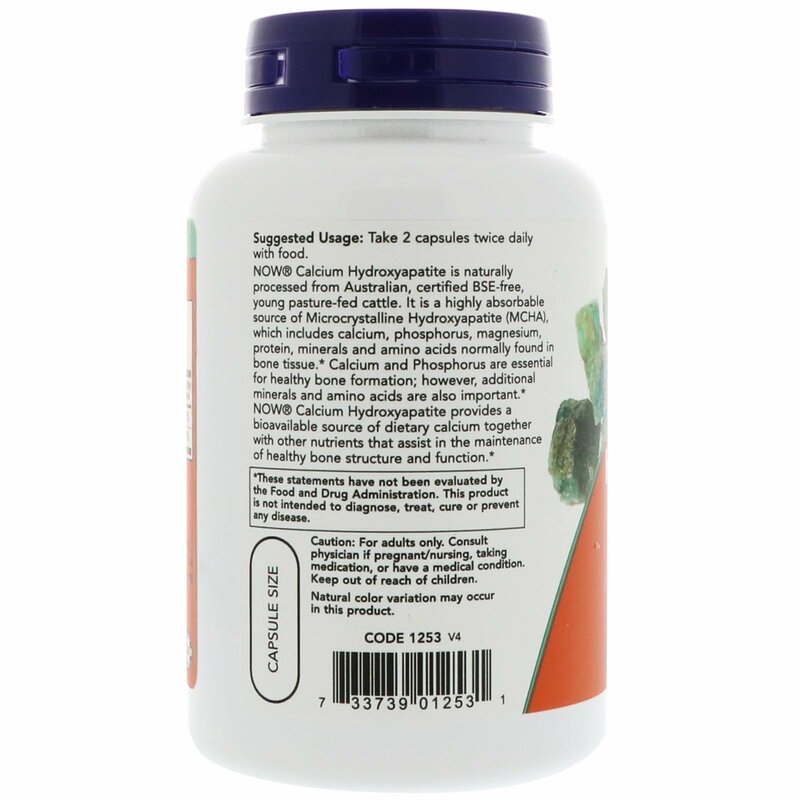 NOW Calcium Hydroxyapatite is naturally processed from Australian, certified BSE-free, young pasture-fed cattle. 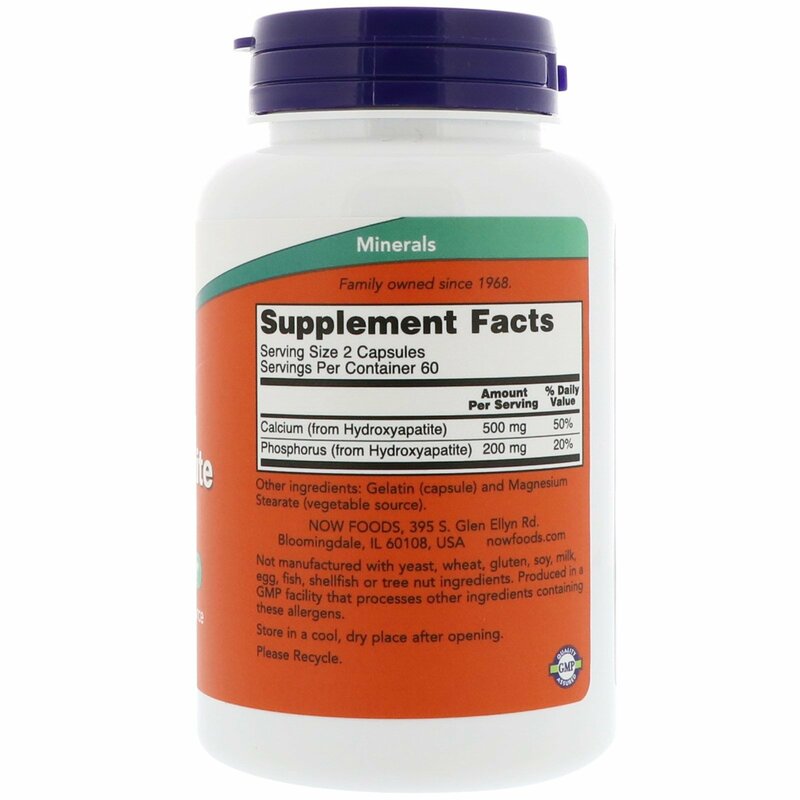 It is a highly absorbable source of Microcrystalline Hydroxyapatite (MCH), which includes calcium, phosphorus, magnesium, protein, minerals and amino acids normally found in bone tissue. Calcium and Phosphorus are essential for healthy bone formation; however, additional minerals and amino acids are also important. 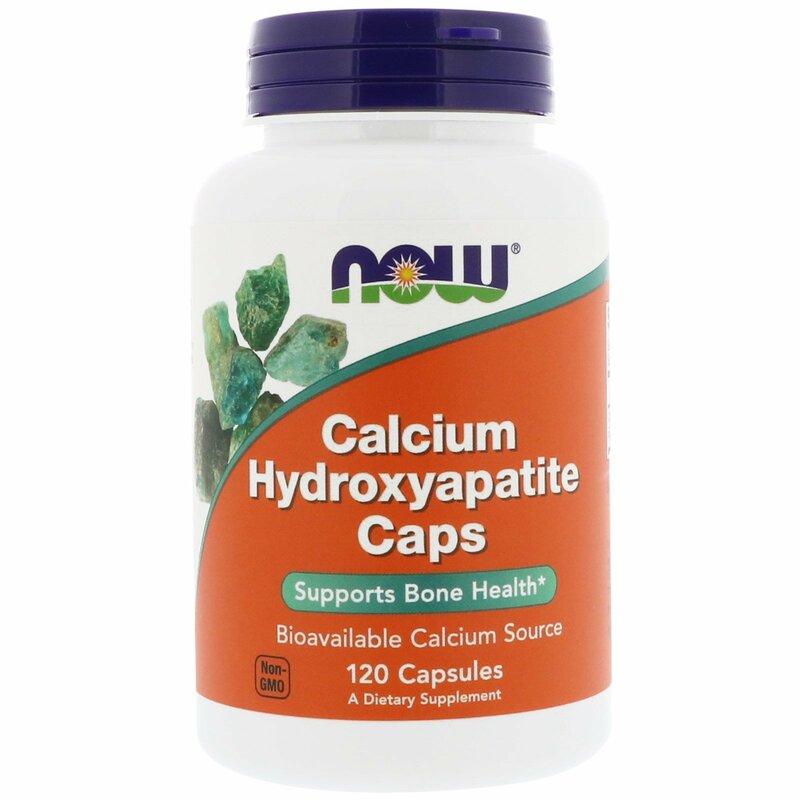 NOW Calcium Hydroxyapatite provides a bioavailable source of dietary calcium together with other nutrients that assist in the maintenance of healthy bone structure and function. Caution: For adults only. Consult physician if pregnant, taking medication, or have a medical condition. Keep out of reach of children.